Welcome to Broadband Genie's broadband provider hub. Here you’ll find a list of every home and business internet service provider (ISP) on our site - along with reviews and a buyer’s guide so you can choose the best broadband supplier for your needs. Click on the 'See deals' link underneath each provider logo to compare the best offers from that particular ISP or scroll down to read our guide to comparing internet providers using Broadband Genie. Budget broadband with speeds up to 38Mb. 30 day guarantee on fibre, not happy, you can cancel penalty free. TalkTalk packages include phone and TV bundles with affordable TalkTalk TV offering live pausing and catch-up in addition to premium channel add-ons. Inexpensive mobile SIMs are also available. 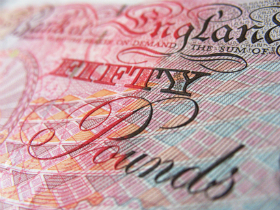 What is a sponsored provider? Sponsored provider positions are either recommended by Broadband Genie or paid for by the provider. 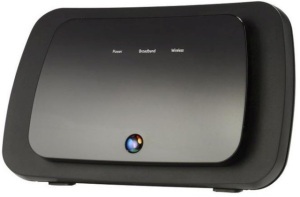 BT offer an extensive range of broadband packages, with either ADSL up to 17Mb or fibre optic broadband up to 76Mb. Broadband can be optionally bundled with inclusive call packages or BT TV services. All customers get some free access to BT Sport. Great value ADSL and fibre broadband packages on 12 or 18 month contracts, with the option to include a mobile SIM. EE TV bundles are also available if you're an existing EE mobile customer. Plusnet has a reputation for a high level of customer service and technical support, with a UK based call centre offering round the clock assistance. Good value deals on both entry level ADSL and superfast fibre optic broadband. Sky is known for its satellite television and broadband bundles, with a wide variety of packages to suit most budgets. Extras include free streaming TV access via the web or Sky Go app. With its own fibre optic network, Virgin has the fastest nationwide broadband service. Virgin deals are available with phone and TV, or you can opt for a broadband only package without needing a phone line. Which broadband providers are right for me? Many broadband providers are offering very similar services so the differences aren’t always immediately obvious, but there are important aspects to consider as you compare internet providers beyond just speed and price. This is vital, but it’s also a major cause for complaint about many UK broadband providers. If you’re likely to need round the clock support make sure the lines are open 24/7. It might also be important for you to have a call centre that’s based in the UK, but not all are so check before signing up. Most ISPs throw in some extras. This might be as basic as a free Wi-Fi home router, but others offer bonuses like free public Wi-Fi hotspots and TV streaming. While rarely essential these rewards can be nice to have, especially if you were planning on paying for something that’ll be included for free. Most internet service providers will require you to commit to a contract of 12, 18 or 24 months and leaving early means paying a charge. If this is a problem, look for an ISP with a short contract term. They’re not commonplace but you’ll find a few options out there, including rolling monthly or ‘no contract’ broadband. It’s becoming increasingly common for providers to offer more than just broadband and phone. Many can now include TV services and some internet providers will throw in a discounted mobile SIM. This can be a cheaper way of getting multiple services, and it simplifies the billing. Broadband providers speeds - what’s the difference? Something to remember about most (but not all) home broadband internet providers in the UK is that they are essentially offering the same basic services. They utilise the national BT network so you’ll have the option of either ADSL at an average of 10-11Mb or fibre optic with average speeds of around 36Mb, 50Mb or 65Mb. The major exception to this rule is Virgin Media, which has its own network with a top speed of 362Mb. If you’re currently unhappy with the speed of your provider you might be able to switch to a different service, but this is going to depend on the network coverage in your area. However, if fibre is not on offer or you’re already on the fastest type of broadband available you are not likely to see a significant increase by swapping to another provider using the same technology. It might be worth switching to get a better price or package, but don’t expect big performance gains. There are some alternative providers to the big networks, such as Wi-Fi broadband, 4G home broadband from Relish and ultrafast gigabit fibre to the home from Hyperoptic. But these are more limited in coverage so not an option for many of us. When signing up for a new broadband supplier you should always be given an accurate estimate of the speed. 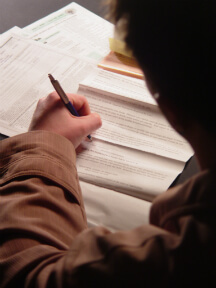 If the service falls far short of the promised rate it is possible to use this as a reason to end the contract early. To find out more about service availability visit our broadband in your area hub, where you’ll also find guides to broadband services in specific towns and cities across the country. Broadband Genie aims to make it easy for you to find the best internet provider for your requirements. We’ve designed our comparison tables so it’s painless to sort through the many options. To get started, head to any home broadband comparison page. Using the filters down the side you can eliminate any unnecessary or undesirable parts of a broadband deal, so if you’re only interested in fibre broadband over 50Mb including TV and unlimited data, the filters can be used to remove any broadband providers that don’t meet this criteria. The filters will change the packages displayed in the main comparison table, which provides an overview of the key features so they can be sorted and quickly compared. There’s a lot of competition between UK broadband providers so there are always loads of special offers available. You’ll find months of free service, shopping vouchers, free gadgets and more. Don’t let these alone sway your decision, but if a preferred broadband supplier is also running a special offer that’s good news. The icons in this column give a quick overview of the features included in the package. Almost all broadband deals will include a phone service, but you can also get a mobile phone SIM or TV services in a bundle. You can also click the name of the company in this column to view broadband reviews left by other visitors. The minimum contract length. Most internet service providers use 12-24 month contracts, but shorter deals are out there. This can give more flexibility to switch but compare costs carefully. Often the longer term deals are better value for money so long as you stay with the provider for the full term. The maximum speed of the broadband connection. This is the theoretical top speed of the connection and is a rough guide only, the actual speed is dependant on other factors. Read our broadband speed guide for more information. The maximum of data which can be downloaded or uploaded each month. Many broadband providers are now unlimited, but some of the cheaper deals may have a usage cap. These can be a good way of saving money if your usage is light, but exceeding the cap can cost extra. Often it’s simplest to just get an unlimited deal and never worry about it. The monthly price displayed here is the cost for the broadband only. If any special offers are included this will also be shown. Click here to view a full breakdown of the package. You can see further information about special offers and extras such as bundled Wi-Fi routers, as well as a price calculation which includes line rental. 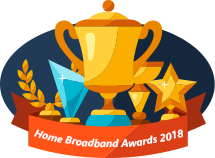 Home broadband awards - which is the best broadband provider? Every year Broadband Genie asks thousands of broadband users across the country to rate their providers on various criteria. Visit our broadband survey page for a complete breakdown of the results, but here is an overview of the 2018 survey, including the ISP which was voted best broadband provider.